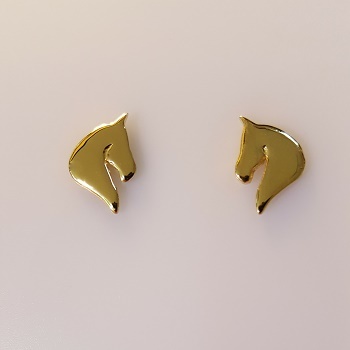 14kt Yellow Gold Horse Head Silhouette Stud Earrings. Dimensions: Dimensions: 1/2 Inch Tall x 5/8 Inch Wide These earrings are also available in Sterling Silver and 14kt White Gold. PICTURED AND PRICED HERE IN 14KT YELLOW GOLD!